The location of Yiwu pens Market is on the 1st floor, district 3, International trade city. The opening hour is 9:00-17:00 except a 15-day-close down during Spring Festival. 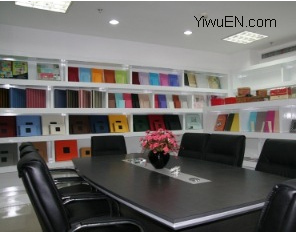 Yiwu paper product market is in the location of the office supplies and stationery market. It is a new market which opened in 2005, but now it is already one of the biggest markets in Yiwu, even China. Beside all kinds paper products, this market has more than 2,500 stalls for pencil sharpeners, pencil cases, pencil pouches, erasers, correction fluids, rulers, adhesive tapes, file folders, notepads, terrestrial globes, paper clips… all kinds of big and small article ones need to open a stationery store. The variety is rich beyond one’s imagination. The international trade men can purchase every kinds of notebook, notepads, paper and others in the market. Most styles and models may be as exactly as those in your mind. Your can go around the market and find those meet your local customers’ tastes. Most suppliers in Yiwu Office Supplies and Stationery Market are from Zhejiang provinceand Guangdong province, including many strong manufacturing cities and towns like Shantou, Wenzhou and Ningbo. Most factories are those direct sale, others are general agent and distributors. As Yiwu is a good big market to compete and show strength. The suppliers choose Yiwu market to put the new productions to the showroom. Most of the suppliers come from Guangdong, Zhejiang, and other provinces. Because the reputation of Yiwu market, many business men come to Yiwu market to purchase. The factories choose the market as the window of the new models and fashionable designs.